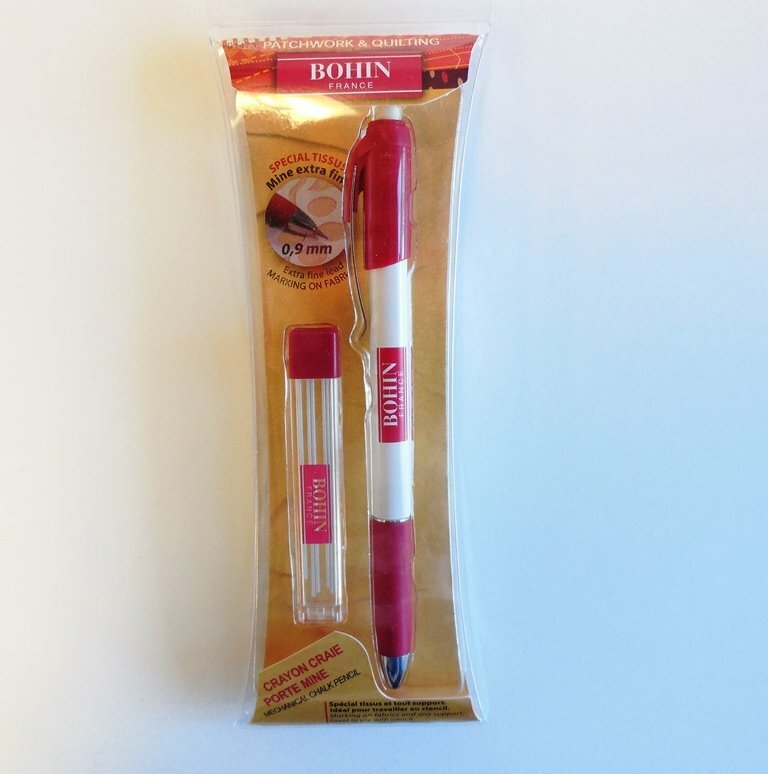 This is the perfect way to mark your quilts with this extra fine line Bohin mechanical pencil. Perfect for marking stencils. Each package comes with 6 extra white chalk leads. Also includes an eraser. Be sure to check out our green and pink additional chalk lead colors.